I have missed writing here soo much! I took two days off because Ramadan started and I got really busy but then I got a TERRIBLE throat infection and OH LORD! I felt like I was swallowing pins even when I was sipping on water! The worst part is the infection literally came outta nowhere. I had a little evening nap and woke up sick. ANYWAYS! I'm finally feeling better and came up with today's look! I hope you enjoy it so let's get started! 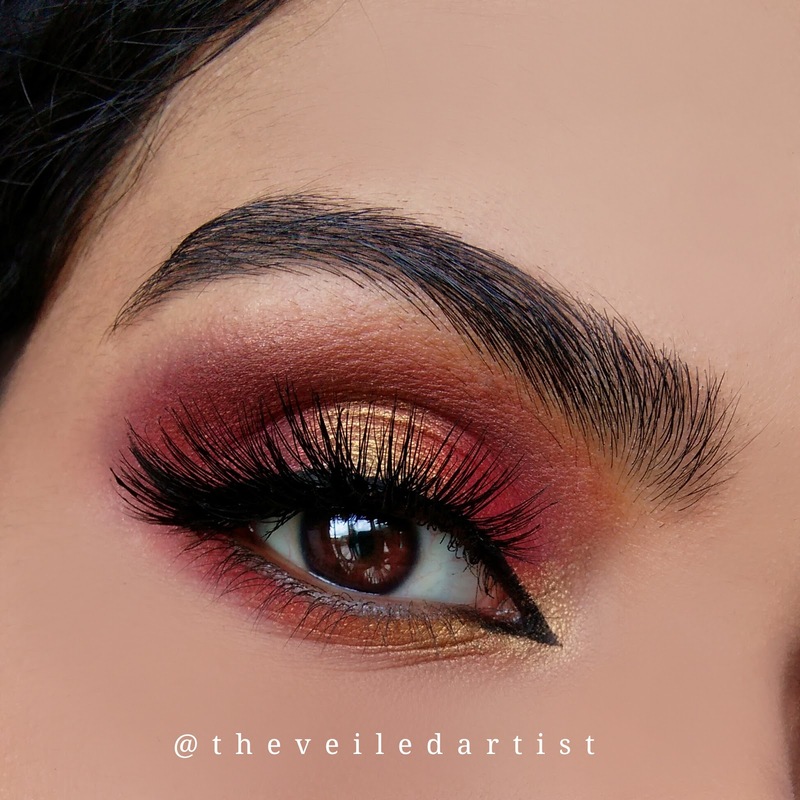 After priming your eyelids with foundation or eyeshadow primer, use a fluffy blending brush and blend the warm matte brown or matte orange eyeshadow into your crease. This will be your transition shade. 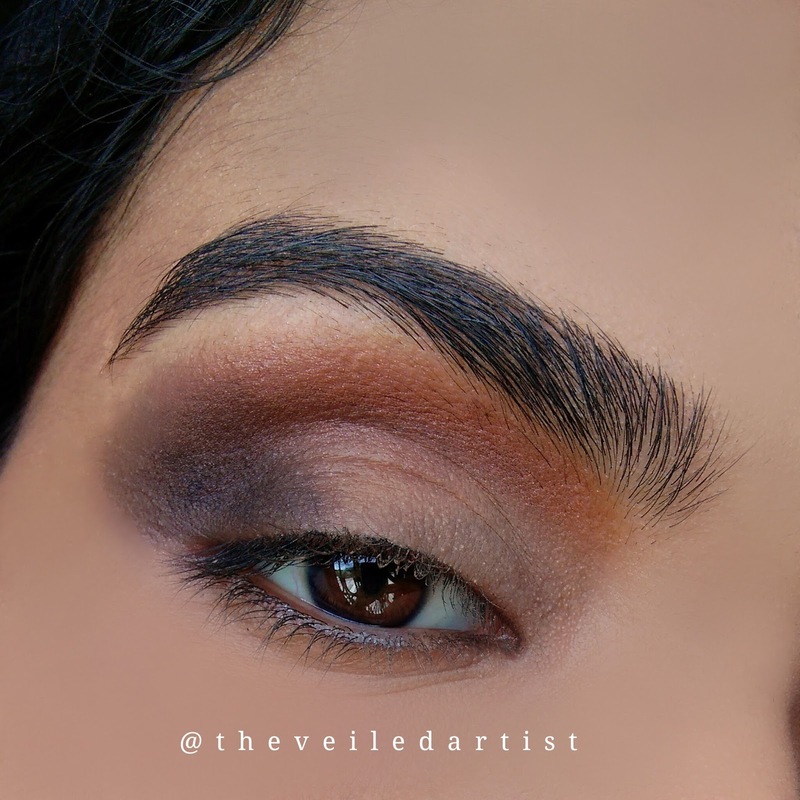 Blend the black eyeshadow primer/creamy black pencil with your finger or a dense brush on the outer half of your eyelids. This is so that the shadows appear deeper on the outer half of your eyes. 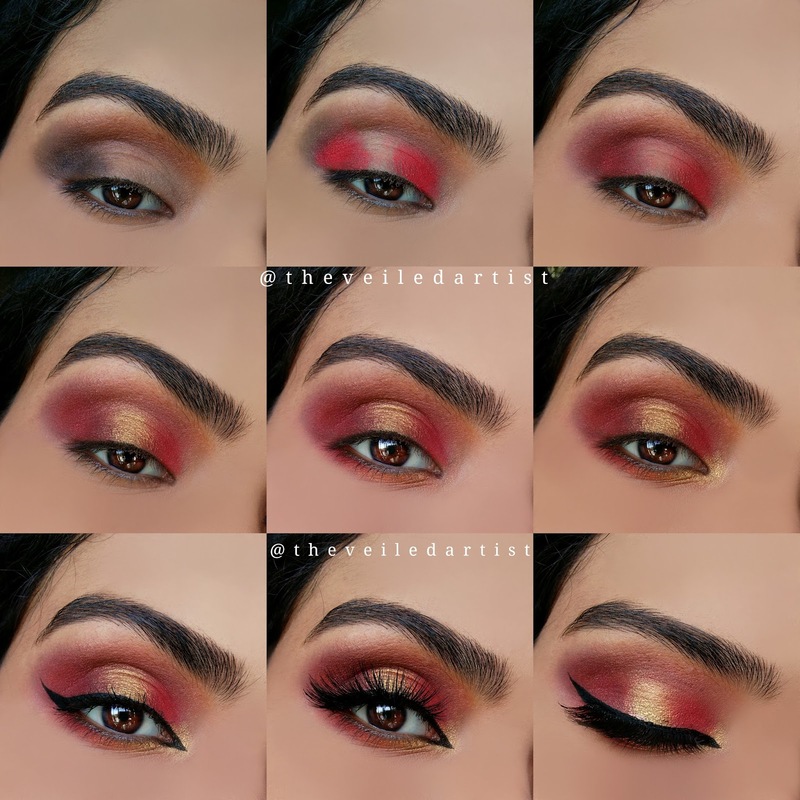 Apply the red eyeshadow on the inner third and the outer third of your eyes leaving the center empty. Then blend this out and also blend the top edges into the orange eyeshadow we applied first in the crease. 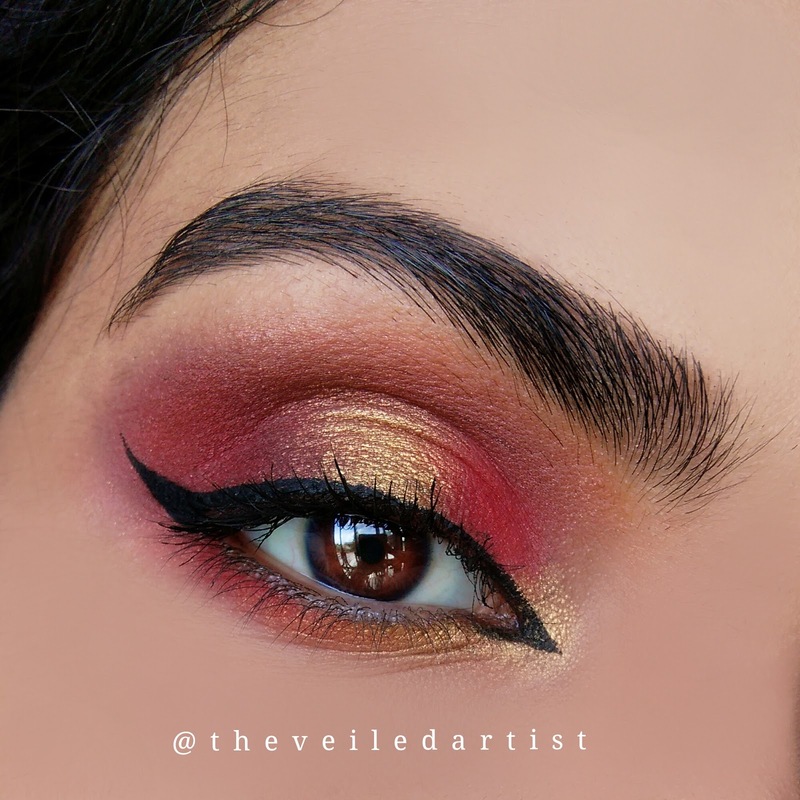 Pat some of the gorgeous shimmery gold eyeshadow onto the center of your eyelids and blend it into the red eyeshadow on both sides slightly. 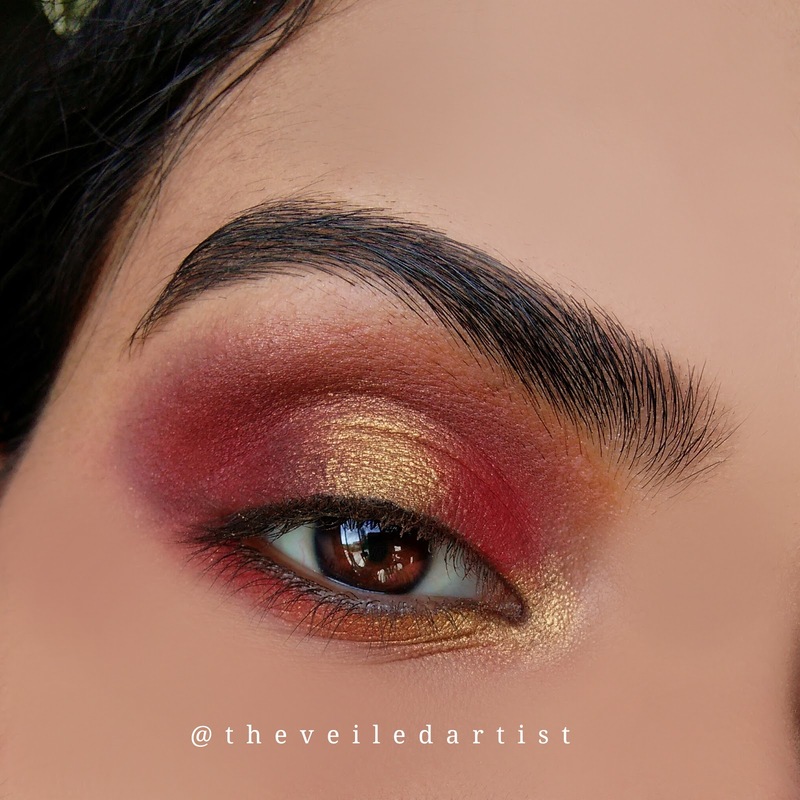 Blend the same matte red eyeshadow we used previously all along your lower lashline and then blend the gold eyeshadow on the inner half of your lower lashline. 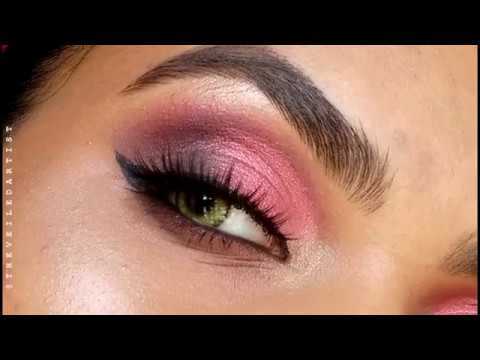 Do your regular winged liner and when you get to the inner corner of your eyes, slightly extend the wing following the shape of the inner corner of your eyes. Then fade it into your lower lashline. You can use a black pencil eyeliner on the lower waterline to add some extra drama but I stopped here because it looks nice and different! Curl your lashes, apply mascara, pop on those falsies and you're done!! 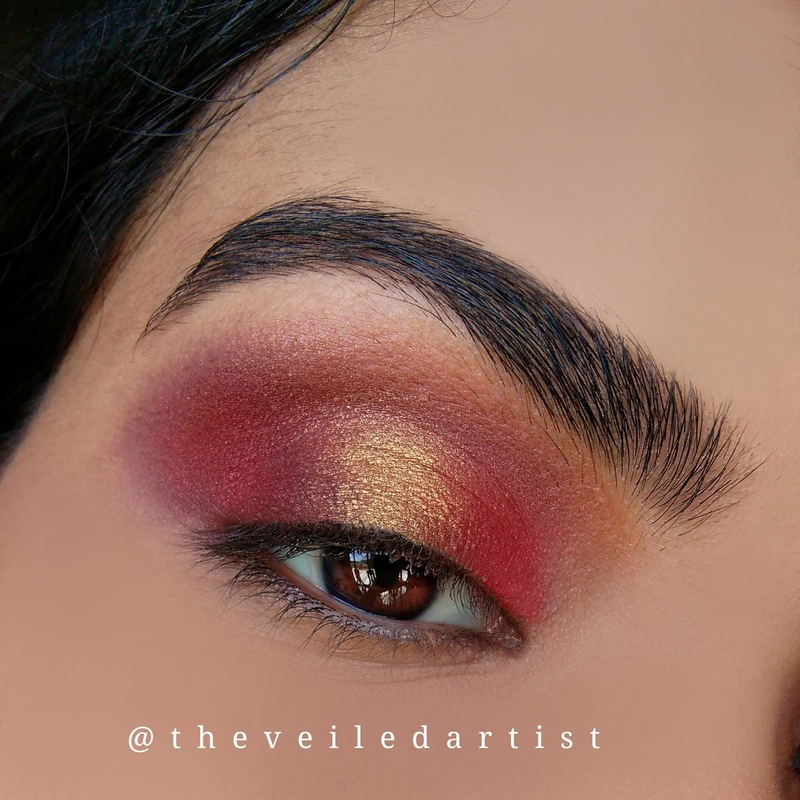 I hope you enjoyed today's tutorial and if you recreate it, please tag me @theveiledartist on instagram, I'd love to see your work! 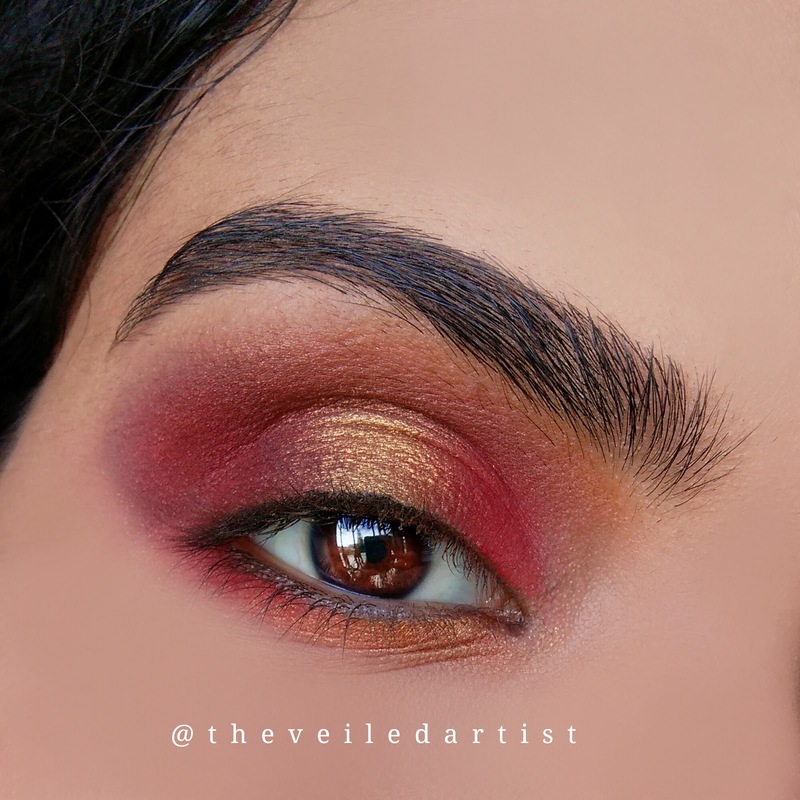 You can check my last tutorial here! It was a unicorn inspired cut crease look<3 Have a great day and take care! Thank you so much Clementia!! That means so much to me<3 I'm so glad you're enjoying my posts! Have a great day!